It's no secret that the craft beer scene has exploded in South Australia in 2015 to the point it seems everyone is dipping a toe into this thriving industry, especially around Adelaide. As well as the breweries and beer venues you'd expect to be celebrating craft beer, large restaurants, small cafes – even butchers – have been busy devising food events based around the ever larger number of fine locally brewed beers now available. Among them is Trevor Hill, from Bruce’s Meats. 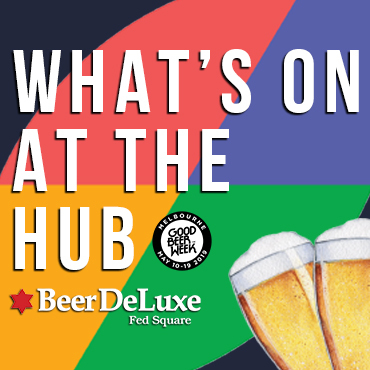 He’s been mixing beer into his sausage recipes for some time now, taking home some big awards over the years, and recently paired up with Clare Valley Brewing to create a beer showcasing its King Kong Stout alongside his lamb and blending skills. The result was gold at the state’s Sausage King competition. He says some South Australian butchers have been using Coopers Best Extra Stout in their sausages for years and he wanted to try something a little bit different. When it comes to the ingredients, it’s not just the beer that’s sourced locally; there is a strong focus on obtaining everything from local farmers and producers. 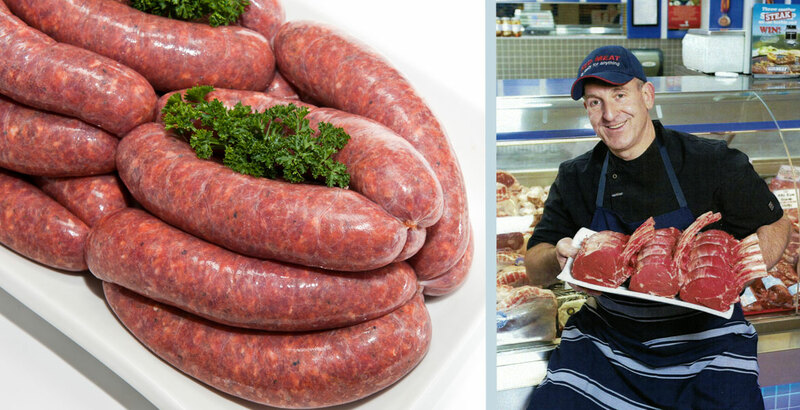 In the award-winning sausages, the lamb is from a breed reared specially for the meat industry in the Flinders Ranges. Since the gold medal win, Trevor and the crew at Bruce’s Meats have been selling around 60kg a week of the sausage and they expect those figures to jump around the time of the national Sausage King finals. He also currently sells a pork and cider snag as well as slow cooked stout and beef pies, and has a new idea for summer that involves duck or veal. The new recipe will again incorporate one of Clare Valley Brewing Company’s beers: either the Bullseye Pale Ale or the Welease Wodger Summer Wheat. Elsewhere in Adelaide, events and bars are popping up that are integrating craft beer in new and innovative ways. The Market Kitchen, in the Adelaide Central Markets, runs an interactive style dinner called Butcher's Block (pictured below) one Friday every month. Picture the scene: a butcher walks through The Market Kitchen entrance with a slain beast on his shoulders; he bangs it down on the kitchen table for all to see. The crowd gathers around in anticipation; some wince at the sight of the beast, others lick their lips in anticipation. The butcher’s cleaver is raised high in the air and swung in a downwards motion, hacking a portion of the lamb clean off. “The shank, taken from the shin of the lamb, generally used in slowed cook stews, is great for braising,” he announces, before explaining how he will cook the meat for the evening and introducing a local craft brewer who will tell their story and explain how their beer matches with the food. In the Western Suburbs, a quaint new brew café called Sweet Amber is set to open its door in October 2015 and has put craft beer front and centre. With four craft taps, up to 30 craft bottles and a chef willing to use beer in all her recipes, the plan is to offer dishes such as slow cooked stout lamb shoulder, while they’re also experimenting with the idea of spent grain desserts. Nearly every piece of food that leaves the kitchen will contain beer somehow. And the action doesn’t stop there. Caitlin Hillson (Feast On Foot) and Dougal McFuzzlebutt (McFuzzlebutt’s Manchen) have teamed up to organise “a journey of the senses” by the way of a progressive feast. 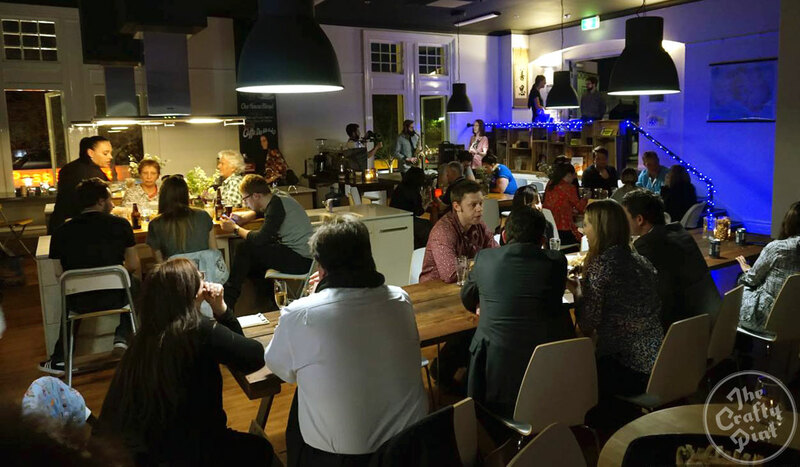 Sponsored by Barossa Valley Brewing Company and Torbrek Winery, feasters will progressively move through Adelaide’s CBD streets munching and drinking top quality food and drink. 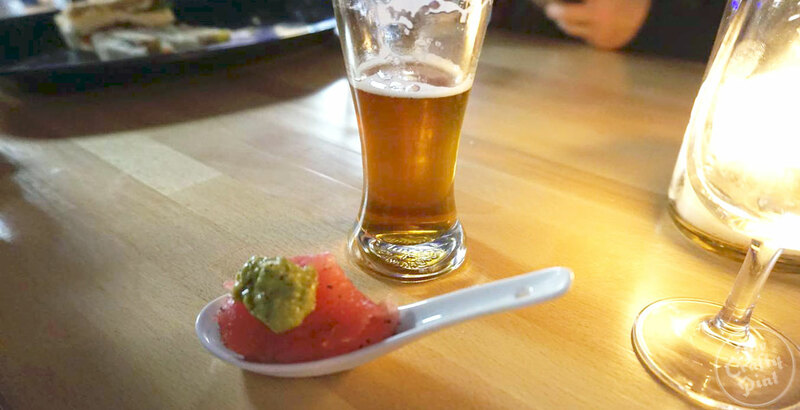 At every venue they receive a course matched with craft beer or wine: each progressive feast has been organised with a different restaurant and beer company in mind. From award-winning crafty sausages to interactive dinners and progressive feasts, it’s clear that Adelaide’s beer scene has burst out of its shackles in ways that go beyond the mere brewing and enjoying of better beer. The state’s breweries are establishing relationships throughout the city’s food and drink scene to create experiences with craft beer at their heart. And we'll happily drink (and eat) to that. You can follow Matt King at his blog, The Craft Beer King or by following the CraftyPintSA Twitter account. 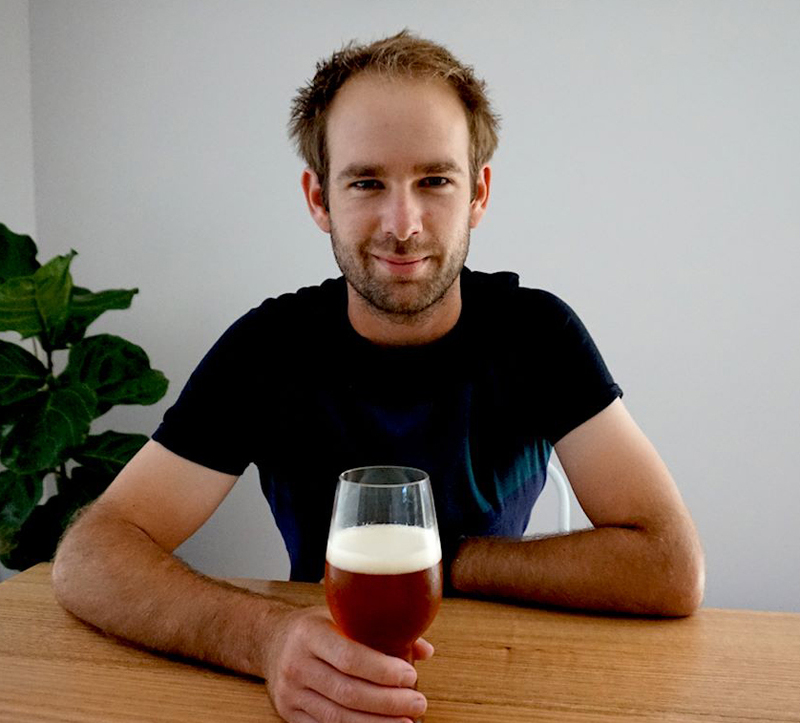 Matt King is a craft beer loving sports nut and runs the South Australian craft beer site, thecraftbeerking.com. You can follow him on multiple social media platforms – all found via his site. My good beer experience began in London, when I was taking a tour of the Greenwich Meantime Brewery in 2010. All the ingredients were laid out in front of me and we were able to eat the malts and smell the fresh hops; the fresh beer out of the tanks probably helped as well. This is the moment I realised "beer can be better", opening my mind to all the possibilities. I then began exploring London for all the great beer spots and ticking off beers from smaller breweries; it was mind blowing. On my return to Australia, I continued to explore, starting where a lot of people started, with Stone and Wood Pacific Ale. There needs to be a good cross-section of styles when doing this, I believe; you never know what beer will be the hook. I would come armed with a tropical pale ale, an IPA that is on the sweeter/sticky side (not one that is too bitter) and probably an oatmeal stout. The last beers I had came from The Wheaty and all of their beers are always great. Name three that represent you. Who Brews One Barrel Beers?